Home / Editor's Choice, Entertainment News, Forum and discussion, Gossip and Drama, Lifestyle, Media News / SAD! Kenyan Journalist who moved Kenyans with his appeal succumbs to cancer days after returning from India. SAD! Kenyan Journalist who moved Kenyans with his appeal succumbs to cancer days after returning from India. Saturday, July 28, 2018 - He moved Kenyans with his determination and brave fight against cancer and Kenyans threw their weight behind him both financially and morally. 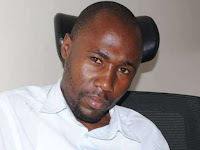 However, former West Media photojournalist, Dennis Omondi, has lost the battle against cancer. Omondi went down fighting on Friday at Kenyatta National Hospital where he was admitted after he developed complications upon returning from India where he had gone for treatment. "My state of health is deteriorating. I am appealing for help from all Kenyans so that I can continue with my medication. I am admitted at a hospital with all the facilities I need but I can only be treated if I have at least Sh6.5 million. "For more than three weeks, the hospital has abandoned me. I have to pay a debt of Sh1.5 million and another Sh6.5 million to resume medication. Please hear my appeal and come to my aid," Omondi said in his appeal. Kenyans responded generously and raised the funds to facilitate his bone-marrow transplant and chemotherapy to control the condition. Unfortunately, he failed to secure a bone-marrow donor after tests conducted on his brothers confirmed that they were not compatible. He had no option but to return to the country last month.